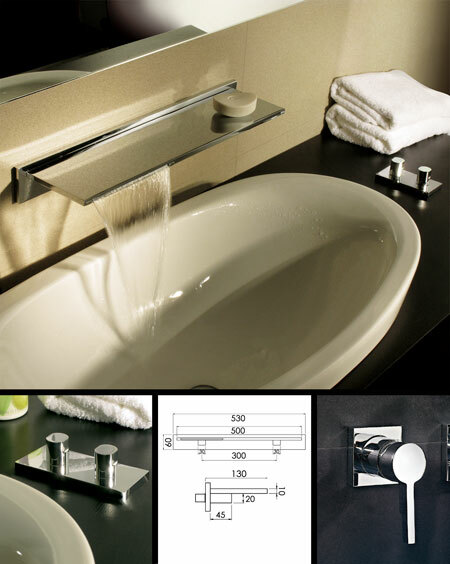 This extremely stylish basin filler tap is designed to add quality and style to any bathroom. With its 500mm wide waterfall spout with a choice between double or single controls, both of which can be supplied deck mounted or wall mounted. * Single or double control choices. * Low lead & zinc content brass. * Left handed spout shown. * Low pressure control available on request. * 5 year manufacturer guarantee.